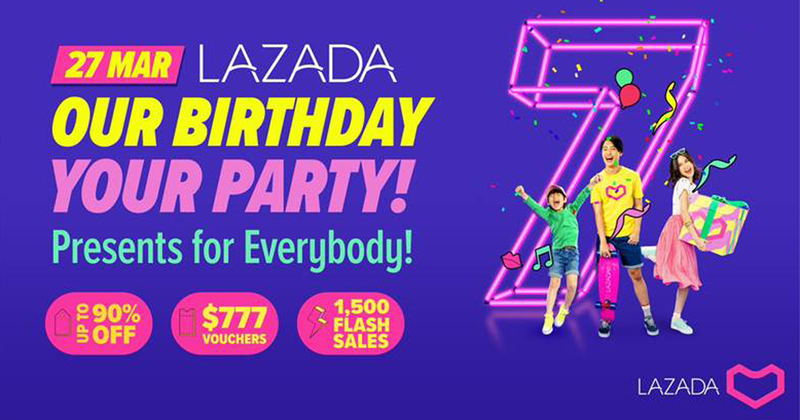 Starting today, Lazada kickstarts a week-long celebration that will see consumers gearing up for the best deals on 27 March while enjoying entertaining activities on the app as part of its 7th birthday celebration. 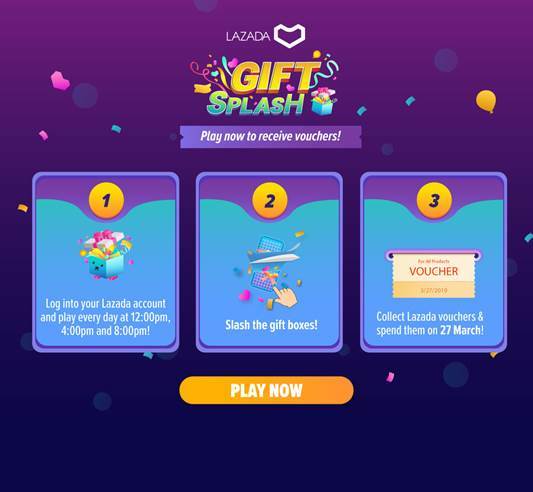 Users can expect more of what they already love including ‘Slash It’ and Surprise Boxes, exciting games with vouchers to be won, and even a star-studded concert headlined by British pop sensation, Dua Lipa. 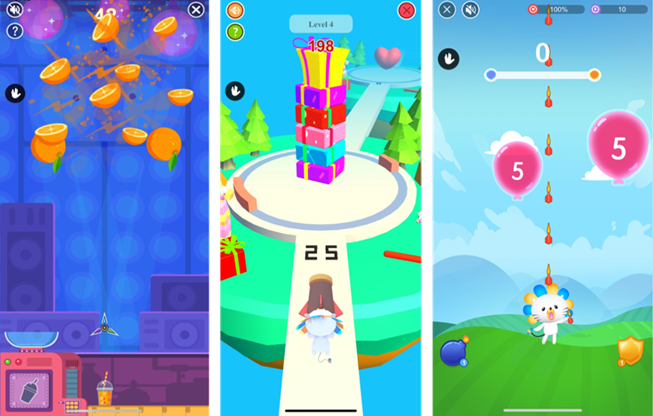 Introducing LazGAME – a collection of three games which include Fruit Slash, Birthday Blast and Popping Balloons. Win $777 vouchers that can be used on the 27 March sale for more savings. Just win cupcakes while playing the games and exchange them for vouchers. Each user is given 5 lives to start with which they can use any time in the day. For those who want to win more vouchers, your lives will replenish at a rate of +1 every hour of the day and will reset back to 5 lives at 12 AM each day. Other games and challenges also available include Gift Splash, the well-loved Slash It and Group Buy. Lazada has partnered with merchants across Singapore for more great deals. From 18-27 March, scan to win the following Lazada vouchers: ‘$2 off’, ‘7% off’ and ’17 off’. Golden Village: $7 F&B combo worth $15.50 (valid on 26 March). 7-Eleven: $1 return voucher with min spend of $4 (*applicable for those who collect their parcels at a 7-Eleven Collection Point). Singtel: Free 5 months of Fibre & TV subscription, and $100 off new handset for new signups. 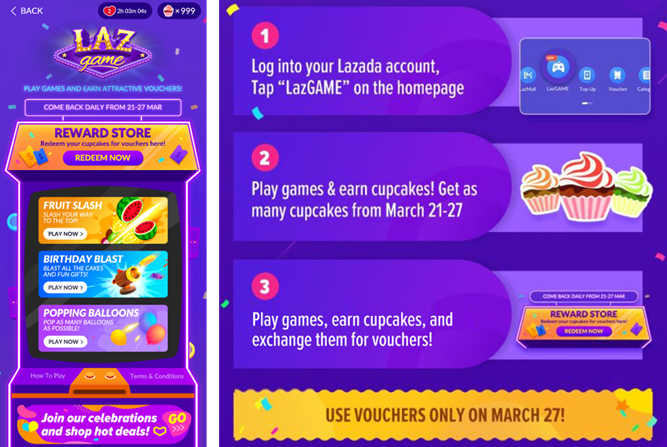 LiHO: Collect a ‘Buy 2 Get 1 Free’ voucher on the Lazada app with a drink purchase. On 27 March, enjoy ‘Milk Tea with Pearls’ at $1.70 by flashing the Lazada app and liking LiHO’s Instagram page. Lazada shoppers will be able to live stream the Super Party, a first-of-its-kind concert experience, via the app. Headlining the concert will be Grammy and Brit Awards winner, and British pop star Dua Lipa, popular for her chart-topping singles like New Rules, IDGAF and One Kiss. Dua Lipa will be accompanied by Singapore’s very own THELIONCITYBOY, Indonesian actress Agnez Mo, the Philippines entertainers Nadine Lustre and Sam Concepcion, and Vietnam’s Dong Nhi. There will also be $5,400 worth of vouchers to be won during the live stream. Tune in to find out how to win! More than 100 brands participating with discounts of up to 80%. Key brands include Marshall, Shiseido, Adidas and Xiaomi. Make sure to mark your calendars and don’t miss out on these fun-filled activities starting today to 27 March. Come and be a part of the celebration by joining here.